This walk, about 45 minutes from our home in Coppet, is located in La Sarraz, Switzerland. On a bright and crisp late October Saturday we decided to take the short drive to this place that was described as a "Fairy-like Waterfall" in a blog post I read on Family Earth Trek. What could be a better place for young children to explore than one described as "fairy-like"? 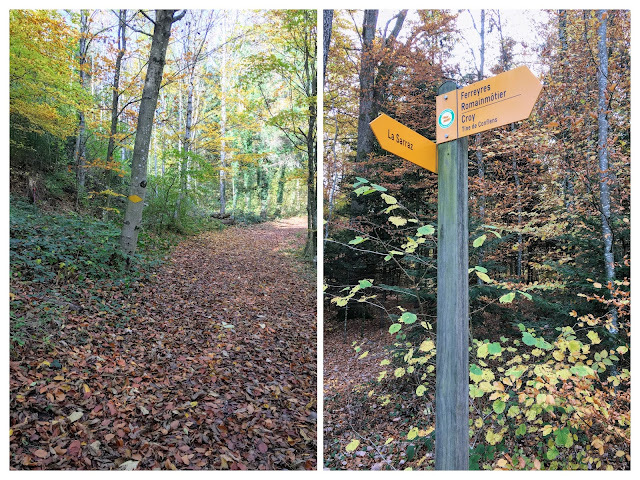 And... this walk is mostly flat and short (it took us about 45 minutes to get there (1.5 hours roundtrip) and we took our time with several stops to look for fairy houses). 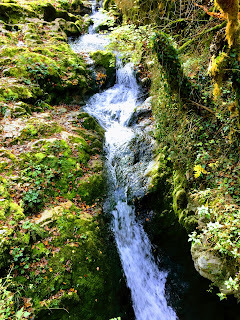 We found several small waterfalls along our way and enjoyed exploring in the moss, rocks and small water holes hosting vegetation and critters. Eliana and Lucas didn't complain during this part of the hike and walked along looking for potential fairy beds, fairy dance houses and all other things fairy. If it were warmer I am sure shoes and socks would have come off to splash in the wet areas. So we turned left instead and followed the trail around to get views of some of the waterfalls from the top. 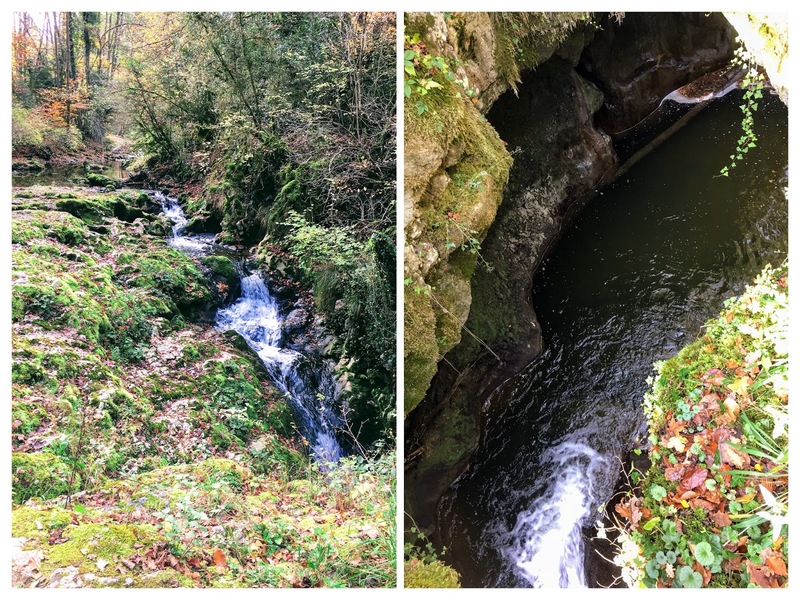 It was still a beautiful hike and the children were very content to wander around the smaller wet holes, climb on rocks and look down into some of the deeper water holes below us. We parked in a parking lot next to a soccer/football field on Route de Cossonay (near to the Route de Dizy intersection). The entire walk was 2.8 KM (1.75 miles) roundtrip and the elevation change was minimal with 477 feet difference.